A contemporary interpretation of the classic ladderback design, this two-slat side chair offers strength, durability and exceptional comfort. The sweeping curve of the back posts adds to the visual flow of the chair, and enhances both comfort and stability. 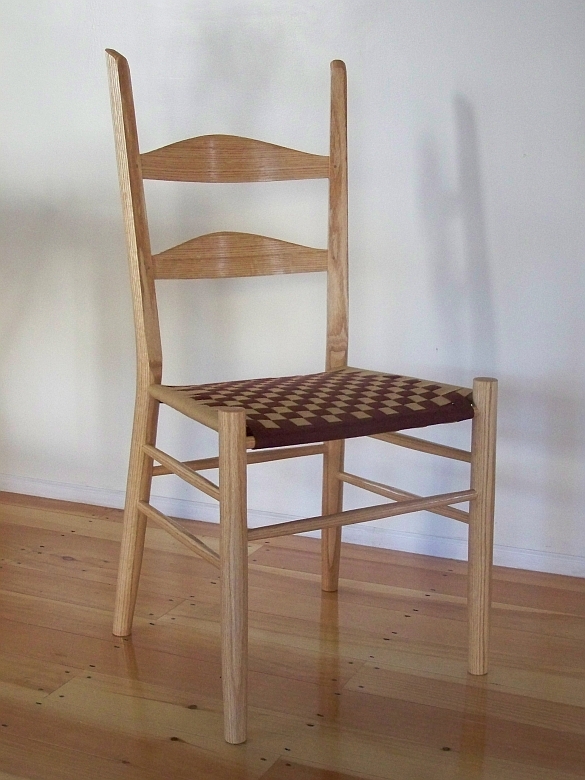 This chair is also available with a hickory bark or woven seagrass seat.